LG just launched their new LG G5 smartphone the handset is the replacement for last years LG G4 and if you are wondering what the difference is between the LG G5 vs LG G4, we have all of the details on LG’s latest flagship Android handset. The LG G5 comes with a range of new hardware features over the LG G4, the device comes with a new design and it is LG’s first modular smartphone that allows you to swap in modules to the handset to perform a number of tasks. We have compiled a list of the key specifications for the LG G5 and the LG G4, this is designed to provide a quick reference for the most important features of LG’s two smartphones. More detailed information on both smartphones is listed after the table. Both the LG G5 and the LG G4 displays share similar specifications although LG have made some improvements to the display on the newer handset. The LG G4 is equipped with a 5.5 inch display that has a QHD resolution of 2560 x 1440 pixels and it features a pixel density of 538 pixels per inch, it comes with Corning’s Gorilla Glass 3. The new LG G5 features a slightly smaller display which measures 5.3 inches, the handset also features a QHD resolution of 2560 x 1440 pixels, although it comes with an improved pixel density of 554 pixels per inch, it also comes with the latest Gorilla Glass 4. The new LG G5 is equipped with Qualcomm’s latest high end mobile processor, the Qualcomm Snapdragon 820, the LG G4 is equipped with the Snapdragon 808, so the new model brings significant performance improvements from the processor in terms of over all speed an processing power. The LG G4 is equipped with 3GB of RAM where as this years LG G5 has been upgraded to 4GB of RAM like many of the high end flagship smartphones available on the market today. Both handsets come with 32GB of built in storage which can be expanded by the microSD card slot and both devices support cards up to 2TB in size. 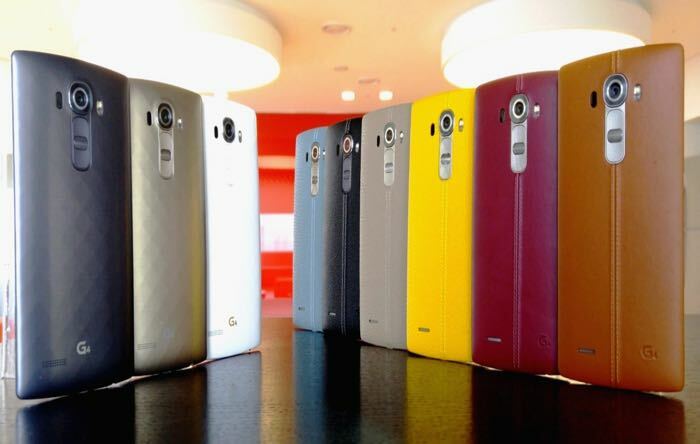 The design of LG G5 is a change from LG’s traditional design and brings a number of major design changes over the LG G4. The new G5 is LG’s first modular smartphone, it allows you to swap in various modules to the battery compartment of the handset that brings new features to the device, one of these add on modules is a camera accessory. The cameras on the LG G4 come with a 16 megapixel rear primary camera that can record 4K video at 30 frames per second, the secondary front facing camera on the handset comes with 8 megapixels and it is capable of recording Full HD video in 1080p. The LG G5 is also equipped with dual cameras, on the front of the handset we have an 8 megapixel camera which can record Full HD video in 1080p and on the back of the device there is a 16 megapixel camera with 3-axis Optical Image Stabilization, an LED flash and Laser Auto Focus. The G5 also offers LG’s new Cam Plus accessory which swaps into the battery compartment of the handset, it is designed to give your smartphone the look and feel of a compact digital camera and it also increases the battery on the G5 to a 4000 mAh one, which is ideal if you intend to shoot a lot of photos and videos with the add on camera module. The LG G5 comes with a 2800 mAh user replaceable battery as standard, the capacity of the battery can be increased by adding in one of LG’s new modules like the Cam Plus module that we just mentioned. It also comes with a fast charge feature in the form of Quick Charge 3.0 that can charge the handset to around 83% in just 30 minutes. The LG G4 comes with a 3000 mAh user replaceable battery, although it does not feature a modular design so the battery capacity on the handset can not be increased by the add on modules that LG offers for the G5. The LG G5 comes with Android 6.0 Marshmallow out of the box, the G4 is also now also running Android Marshmallow thanks to some recent software updates. One thing that sets the LG G5 apart from the LG G4 is the new modular design of the handset, this opens up many more possibilities for the device and allows you to use a particular add on module with the device depending on what you are using the smartphone for. At the launch of the G5 there are only a few modules available, these include the LG Cam Plus camera module, there is also a new music module which was designed by Bang and Olufsen, the Hi-Fi Plus DAC module, the company is also expected to release more modular accessories for the handset over the next few month. LG G4 vs LG G5, is it worth upgrading? 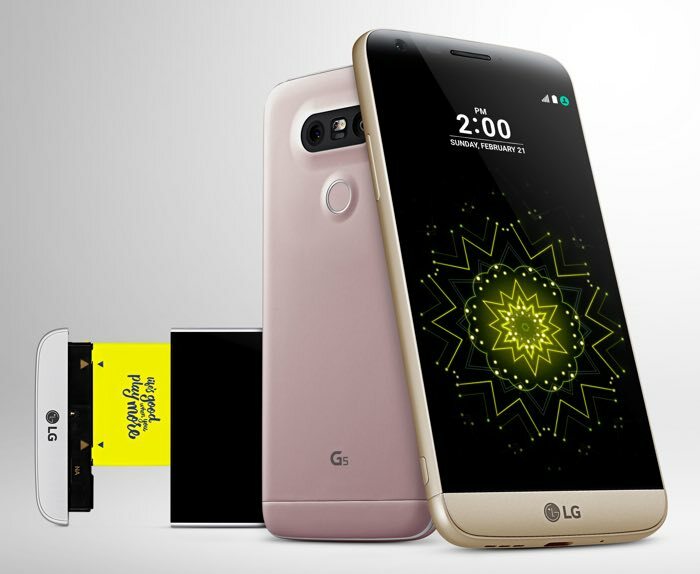 The LG G5 comes with a number of upgrades over the G4 which will tempt many people to upgrade, the faster Qualcomm Snapdragon 820 processor and more RAM may convince many people to swap the G4 for the G5, but we think the main feature will could get many people to upgrade is LG’s new modular design and new add on modules. Whilst many smartphone makers are tweaking their handsets designs slightly and improving the internal hardware, LG has made a bold move by releasing a smartphone with a modular design and add on module that let you turn your smartphone into more than just a mobile phone. If you are buying one of the two handsets for the first time and cost is not an issue, the the new LG in my opinion is the one to go for. Whether the new features available on the handset are enough to get existing G4 owners to upgrade remains to be seen, leave a comment below and let us know what you think. You can find out more details about LG’s new G5 smartphone over at their website at the link below.